I'm sharing my favorite hot party sandwich with you today. And, just like the pumpkin roll, the first time I had these they were given to me by a student who eventually brought me the recipe. Mix all of the spread ingredients together and set aside. If you are using the small, brown and serve rolls, preheat your oven to 250 degrees. I have had trouble finding them the last few times I made these, so I have ended up using these small sandwich buns. 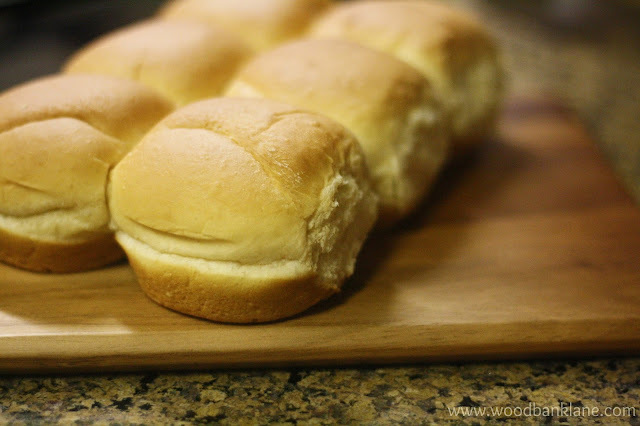 If you are using slider size rolls like these, preheat to 300. Slice the rolls in half, spread the top and bottom of the roll with the mustard mixture. Place a slice of ham and a pinch of cheese in each roll. Brush the tops with the remaining spread mixture. Cover with foil. Bake 20 minutes, just enough to heat the rolls and melt the cheese. I doubled the spread recipe and had enough for 36 slider size buns. I was out of poppy seeds - that's why you don't see them! Have you made these before? My eyes and my stomach light up when they show up at a gathering!